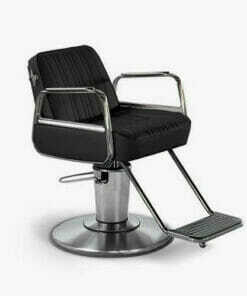 Traditionally styled backwash chair with a high quality and durable finish. 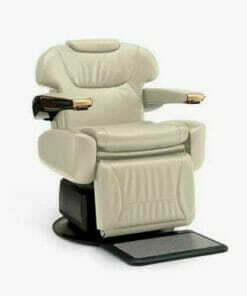 Takara Belmont Cadilla Backwash Chair. Traditionally styled chair with a high quality and durable finish. 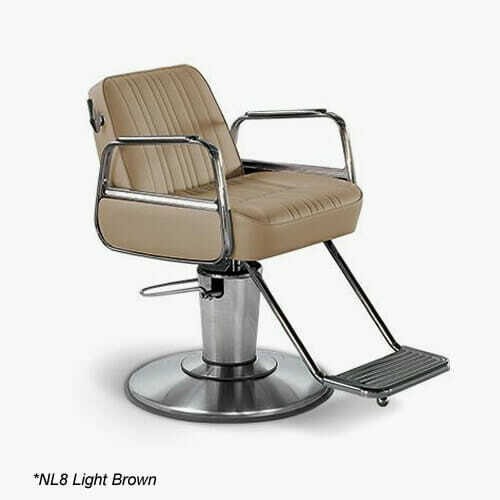 The Takara Belmont Cadilla Backwash Chair features a reclining backrest with a lever on both sides of the chair for easy adjustment. 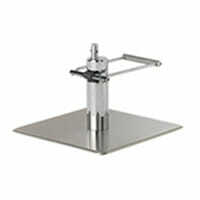 Includes the footrest with stopper. 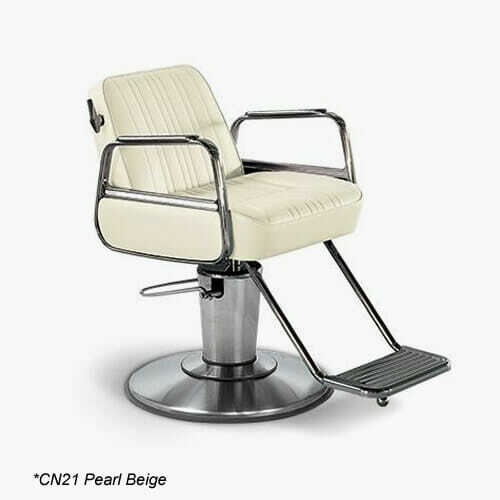 The metal arm rests available in a chrome or matt finish. The chair is made with a thick, comfortable padded seat covered in a hard wearing upholstery which is easy to wipe clean and available in a wide selection of colours. 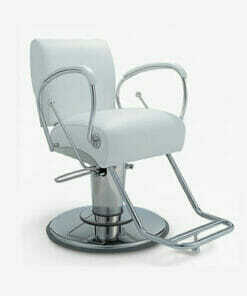 Ideal for the busy hair salon, barber shop or beauty spa. 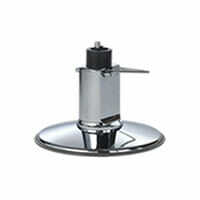 The Cadilla is supplied on a lockable hydraulic base with a choice of 5 different styles. Please use the drop down boxes to select all options and see below for colour swatch and base option images. 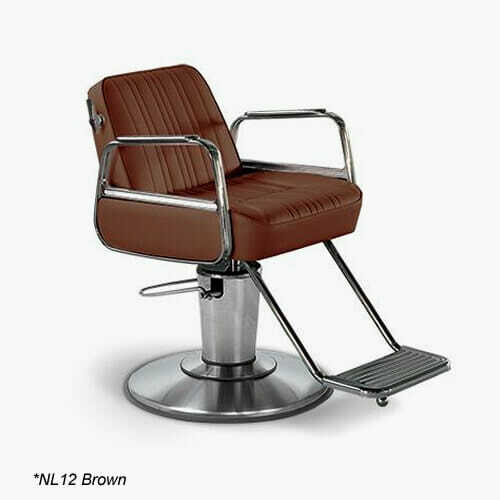 Please note: The Cadilla Backwash Chair is usually kept in stock in NL5 Black Upholstery. Other colours will incur a lead time. 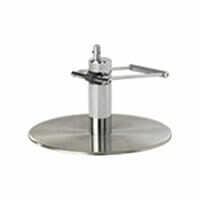 For further details or any assistance please feel free to call our sales team on 012740 630280. Height: 83cm. 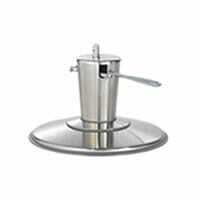 Width: 57.5cm. Depth: 95cm – 116.5cm (Reclined). Initial Seat Height: 52cm. *Reproduction of colours may vary. 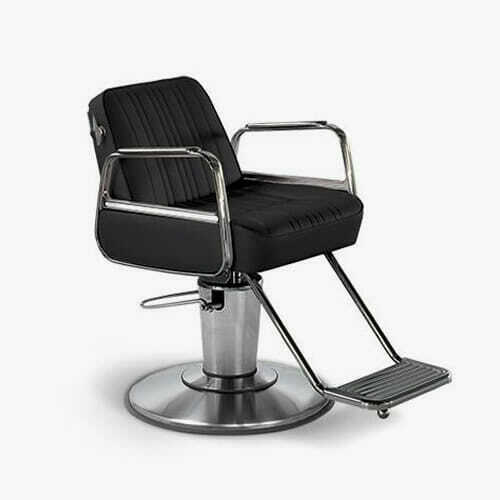 Classic barbershop design in the most compact, stylish form. A popular piece of furniture from the Belmont range. 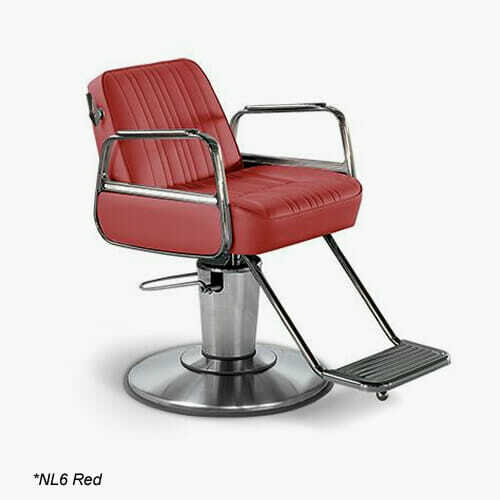 Traditionally designed chair with unparalleled style and comfort available in Maroon or Black. 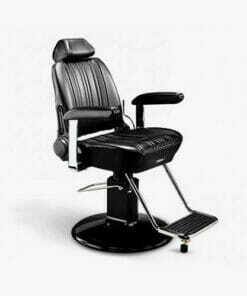 The World's premium luxury barber's chair featuring a heated leg rest with high grade foot rest and massage. 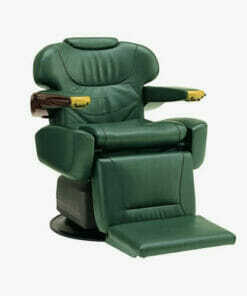 Sturdy and durable backwash chair, designed with style and comfort in mind. 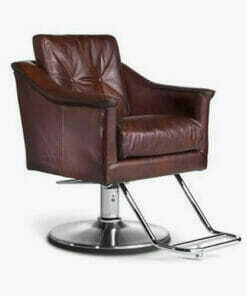 Unique brown leather chair guaranteed to add style to any salon. 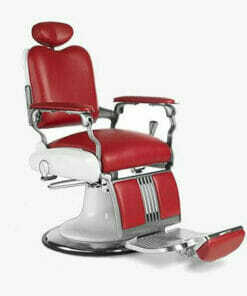 Traditional piece of barbering furinture with a contemporary twist, one of the best selections for the modern barber. 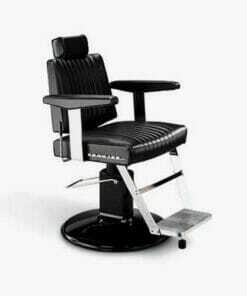 Motorised Barbers chair with a stunning design, a class above the rest. A quality high end piece of furniture. 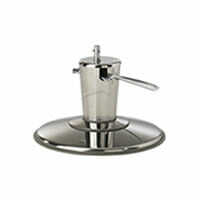 The very popular GT Sportsman is world famous for it's reliability and versatility. Traditionally designed and vintage style, with unparalleled design and comfort. 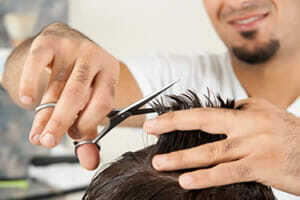 A favourite of barbers worldwide. 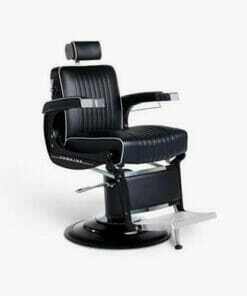 Probably the World's premium luxury barber's chair and made with the finest materials to ensure ultimate luxury. 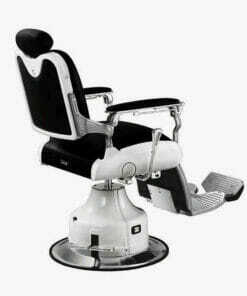 Luxurious, fully motorised barbers chair with smooth movement and high comfort. 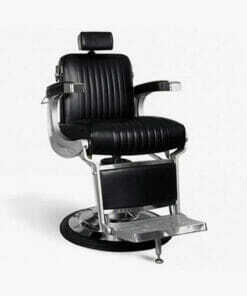 A stunning piece barbering furniture. 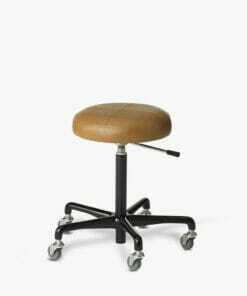 Solid, versatile and beautiful, dressed in durable upholstery. 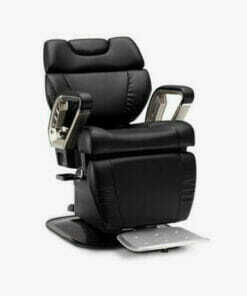 A high end trade chair.